You are going to Watch Naruto Shippuden Episode 307 English subbed online free episodes with HQ / high quality. Stream Anime Naruto Shippuden Episode 307 Online English sub Fade into the Moonlight. With a break in the fighting, the Allied Shinobi Forces tend to the dead and injured. The Logistical Support and Medical Division camp is ablaze with activity as medical-nin try their best to save their comrades. Elsewhere, Kabuto notes the body count climbing and decides to take further action. Summoning a confused Hayate Gekkō, Kabuto fills him in on what had happened leading up to and after his death. 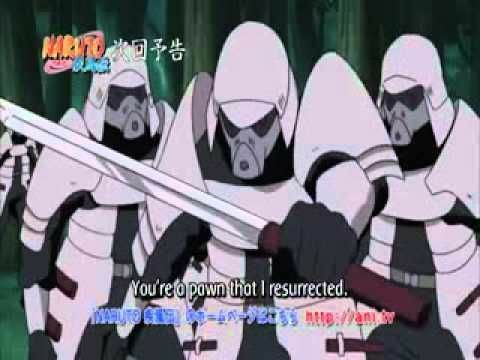 At the medical camp, the corpses of shinobi with kekkei genkai and clans deemed important are being documented and sealed away to be returned after the war.